It is time to experience driving supremacy. At Audi Huntsville, we do things a little differently than many auto dealerships. We focus our attention on providing you with the superior shopping experience you deserve, delivering the product knowledge you need to make an informed decision. In fact, we've been honored by Audi for the exceptional customer service we offer, as evidenced by the fact that we're a Magna Society Award dealership -- and honor only given to the select few dealerships that represent the best of the best. We're proud to offer our customers the full array of Audi vehicles to satisfy a range of vehicular needs. If you're looking for an efficient Audi coupe or a sedan, consider the A3, A4, A5, A6, A7, A8 models. Interested in something a little sportier? Then take the S4, S5, TT RS, RS 5 or R8 out for a pulse-quickening test drive. of course, Audi also manufactures elite and elegant SUVs, such as the Q3, Q5, and Q7. The SQ5 does a masterful job of marrying the versatility of an SUV with the dynamic driving experience for which Audi is well known. If you're looking for a high-quality, well-maintained used vehicle, we have a multitude of options on hand. Naturally, we offer a stellar selection of pre-owned Audi cars and SUVs, including the select few that have earned Certified Pre-Owned Audi status. It may surprise you, however, to learn that we also feature a comprehensive selection of used cars, trucks, vans, and SUVs from quite a variety of automakers. Looking for a BMW, Land Rover, Lexus, Nissan, Honda, Chevrolet, Dodge, Ford, Volkswagen or Jeep? Chances are we have the area's best selection from your favorite automaker, so it's worth it to check with us first. We know. Nobody likes the financing part of the car shopping experience. We're doing our best to change that, one customer, at a time. You see, our financing pros take the time to learn your priorities, and then go to work using their connections and resources on your behalf. Once they've put together the loan or Audi lease terms that meet your needs, they'll go over them with you to ensure that you're comfortable with the options. Their goal is to make you comfortable throughout the entire process, and ensure that everything is explained clearly and to your satisfaction. you don't want to trust your Audi to any mechanic, and you don't want to use generic aftermarket parts in your Audi. Our expert technicians have been factory-trained to take care of your service and maintenance needs, using the latest tools to diagnose, service, and repair your Audi. Plus, they only use genuine Audi parts when they work on your car or SUV, ensuring proper fit and function -- as well as keeping your warranty valid. Not only will cheap aftermarket parts not perform as well as authentic parts, but they also run a serious risk of invalidating your warranty when they fail. If you'd like to learn more about all that we offer our customers, or want to schedule a convenient time to visit and take your favorite Audi out for a test drive, get in touch with us. We're here to serve you! 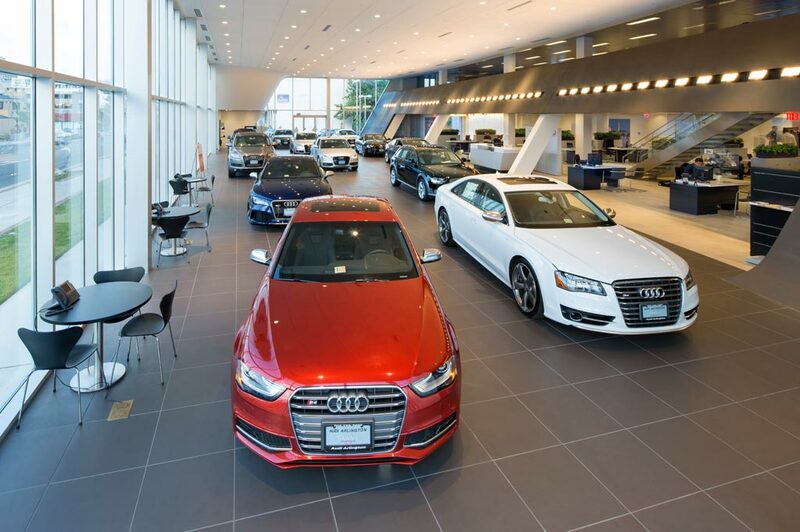 Audi Huntsville in Huntsville, AL treats the needs of each individual customer with paramount concern. We know that you have high expectations, and as a car dealer we enjoy the challenge of meeting and exceeding those standards each and every time. Allow us to demonstrate our commitment to excellence! Our experienced sales staff is eager to share its knowledge and enthusiasm with you. We encourage you to browse our online inventory, schedule a test drive and investigate financing options. You can also request more information about a vehicle using our online form or by calling 256-724-3499.